(TibetanReview.net, Sep10, 2014) – ‘One-China policy’, a mandatory Chinese requirement in any joint-declaration with other countries will again be left out when Chinese President Mr Xi Jinping visits New Delhi next week because of China’s inability to reciprocate with a ‘One-India policy’. India has refused to endorse the ‘one-China’ policy since 2010, when it removed it from a joint statement during the visit of the then Chinese premier Wen Jiabao. 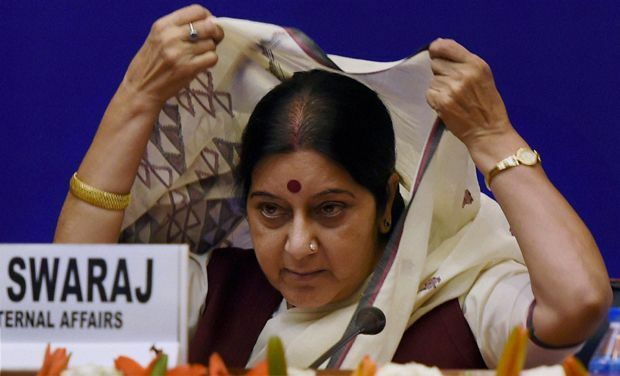 “For India to agree to a one-China policy, China should reaffirm a one-India policy,” the economictimes.indiatimes.com Sep 9 quoted India’s External Affairs Minister Ms Sushma Swaraj as saying. “When they raised with us the issue of Tibet and Taiwan, we shared their sensitivities. So, we want they should understand and appreciate our sensitivities regarding Arunachal Pradesh,” she has further said. However, she has described India-China relation as “very good”, marked by both “competition and cooperation”. She has expressed confidence that the outcome of Mr Xi’s visit would be “substantial and solid”, reported deccanchronicle.com Sep 9.